Discover unique, personalized services from the world’s leading authority in luxury and experiential travel. We have perfected the art of tailor-made travel. Not only luxury, our expertise and services extend to every aspect of a journey be it related to culture, wildlife or history. 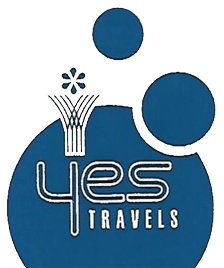 Know your passion and fulfill it with holidays mapped by Yes Travels. A lifetime of memories is a guarantee. We go to great lengths to understand exactly what you want from your holiday. We discuss the destination, style of accommodation, mode of travel and experiences you will have, to ensure the combination is right blend for you. Safari experiences including stay at exclusive and luxurious Camps and Lodges. Luxury Rail Journeys of the World. Small ship Expedition and River cruisingon the Nile, Yangtze, Galapagos Islands, Antarctica, Ayeyarwady, Mekong, Chile’s lake district, Amazon, Zambezi Chobe River, Volga. Island Retreats, Beach Paradise, Island charters.